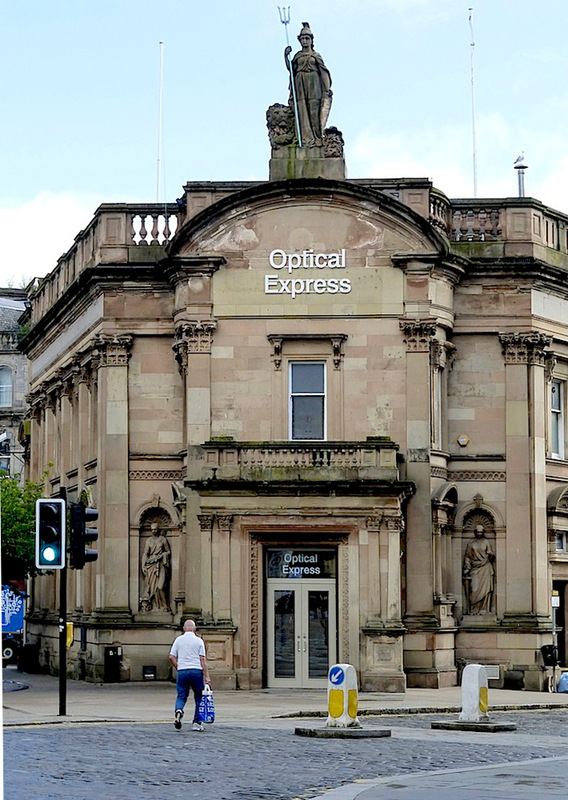 (Former) Clydesdale Bank, Dundee. William Spence (c.1806-1883), with architectural carving by James Charles Young (1839-1923). 1875-78. 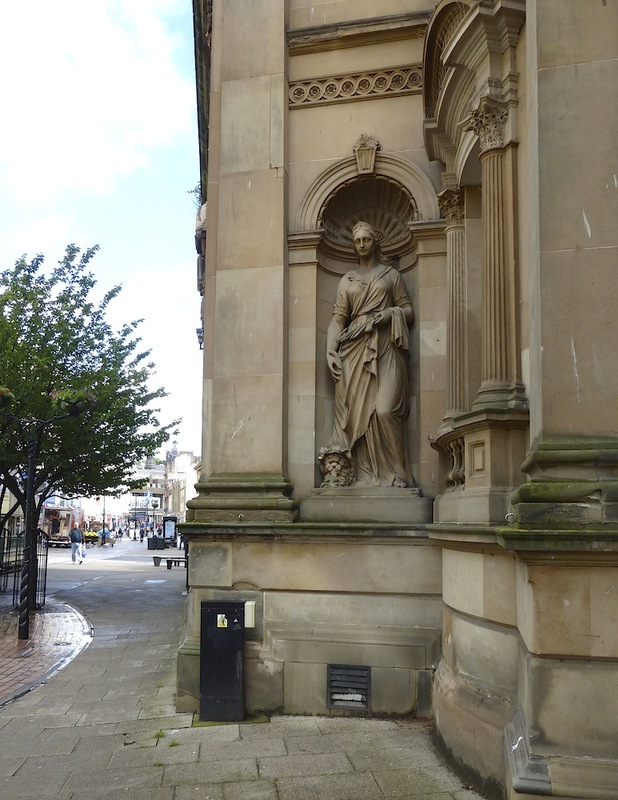 Described in the listing text as a "triangular-plan, Renaissance-detailed bank, built on falling ground island site at the E terminus of High Street." 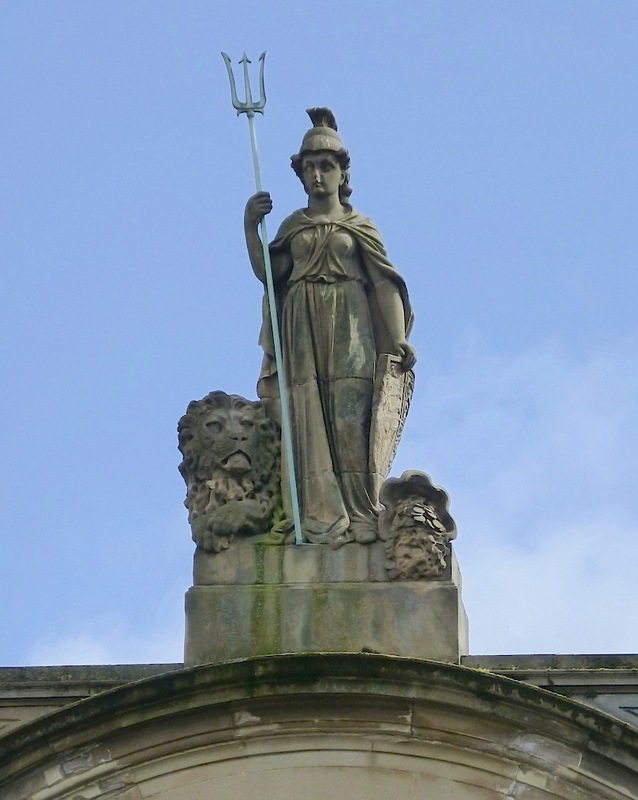 This polished ashlar-faced building was designed to be a bank at the front, where it is crowned by a youthful Britannia, with a fierce-looking lion and a cornucopia spilling coins. Its classical details and sculptural decoration proclaim its "civic and financial status" (Gifford 127). The Commercial Street elevation at the side was always intended for shops and offices. The building is 94-96 High Street, filling the triangular space between Murraygate and Commercial Street. 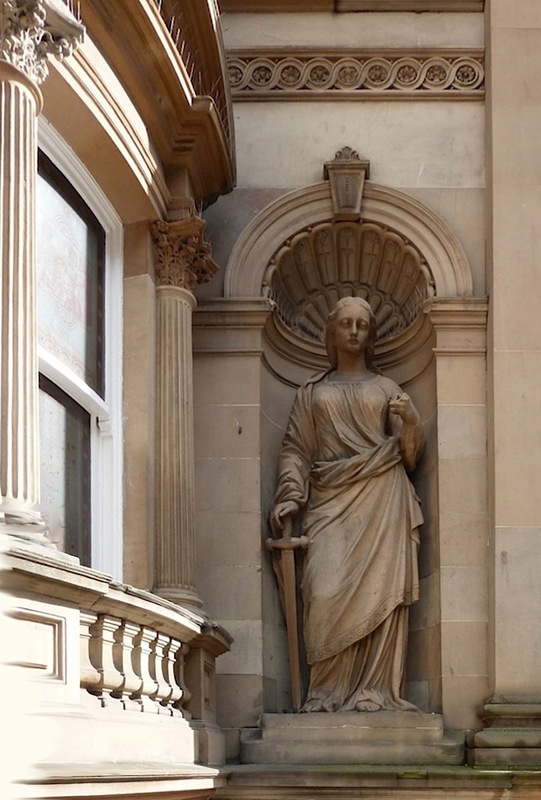 Left: Figure of Justice with her sword (probably once with scales as well), by the front entrance. Right: Figure of Commerce with another cornucopia at the other side. Both Spence and Young have made this a memorable building, and it is Category B listed. "94, 96 High Street/52, 54 Commercial Street, Clydesdale Bank, Dundee." British Listed Buildings. Web. 2 December 2016. "James Charles Young (1839-1923)." Glasgow — City of Sculpture. Web. 2 December 2016. "William Spence." Dictionary of Scottish Architects. Web. 2 December 2016.